TMA Highlights Meyer Tool - Meyer Tool & Mfg. 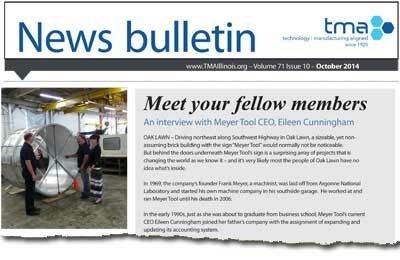 In October the Technology & Manufacturing Association (TMA) highlighted Meyer Tool & Mfg., Inc. in their News Bulletin article “Meet Your Fellow Members: An Interview with Meyer Tool CEO, Eileen Cunningham”. We appreciate freelance journalist and author Fran Eaton’s interest in Meyer Tool. Though some of what we do is new to Fran, she did a wonderful job of capturing the essence of who we are. Especially exciting is that this article coincides with our company celebration as we reach a milestone so significant to us: 45 continuous years of Reducing Project Risk! 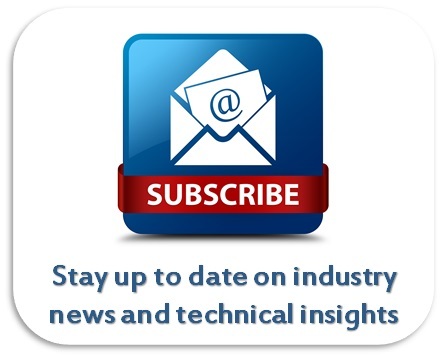 An industry advocacy group and a leading voice in an evolving manufacturing industry, TMA cultivates and strengthens member companies by providing them programs and services in order to thrive as individuals, companies, and as a business community. TMA is the leading voice for manufacturing and a major contributor to economic growth and opportunity. Meyer Tool & Mfg., Inc. appreciates the support of TMA both in the services they provide and now in their highlight article spreading our good news to member companies. Thanks TMA, for your support of small business in the manufacturing sector. 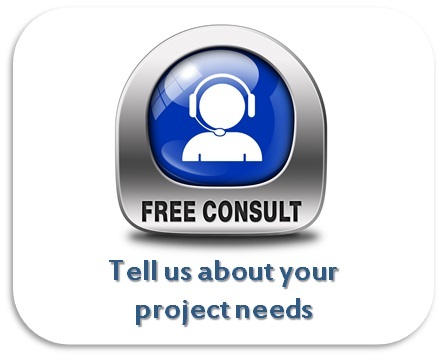 We depend on you as a resource and partner in our long-term success.